LA ROMANA, Dominican Republic (Jan. 19, 2019) – The only Latin America Amateur venue on which Chile has not staked its proverbial flag is Casa de Campo’s Teeth of the Dog course. Three times in four years a Chilean has walked away with the LAAC title, a Masters invitation and all the opportunities for growth that go along with that. The 2016 event, also played at Casa de Campo, was the only event with a non-Chilean winner. Carlos Ruiz de Gamboa Riquelme, the on-site delegate for the Chilean Golf Federation, chuckles when he tries to explain what accounts for that type of success. There’s little more to say than that Matias Dominguez, the inaugural champion, opened a door that’s never really closed. Through 54 holes at Casa de Campo, Chile’s best hope lies with 19-year-old Agustin Errazuriz. It’s only his second LAAC, but a third-round 69 got Errazuriz to 7 under and just a shot behind leader Alvaro Ortiz, arguably the favorite here. He’ll play in the final group with Ortiz and Luis Fernando Barco, with whom Errazuriz is tied for second, on Sunday. Mexico’s Ortiz and Peru’s Barco are quite similar – two twentysomethings who have played this event now five and four times, respectively, and are on the cusp of turning professional. What a nice send-off a Masters start (plus a pass to the final stages of qualifying for the Open Championship and U.S. Open) would be at this point in their career. Niemann, a Chilean, was in Ortiz’s position last year when the LAAC was played at Prince of Wales Country Club in his home country. He was waiting to turn pro so he could give the LAAC one more shot, and as it turned out, it was a good idea. “It was my favorite week of my life,” Niemann told the USGA recently. Considering that he also called the 2015 LAAC his “first big tournament,” he owes much to this event in terms of how it helped him develop for the world stage. Niemann turned professional right after the Masters and scored invitations to the PGA Tour’s Valero Texas Open, Memorial and AT&T Byron Nelson. Overall, he made 12 PGA Tour starts as a professional in the 2018 season and finished inside the top 10 four times. He earned enough FedEx Cup points to secure his Tour card for the 2019 season – a rare and remarkable feat. Niemann is one of very few young players good enough to bypass qualifying completely. 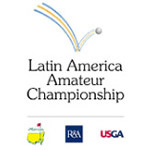 If Dominguez, as de Gamboa Riquelme says, opened the door to the possibility of LAAC fame, then Niemann has blown it off the hinges with the possibility of success at golf’s highest level. Niemann, of course, beat Ortiz last year on the strength of a final-round 63. But the year before, a younger Chilean beat both of them. When he did that, Toto Gana looked a lot like Errazuriz in terms of youth and experience. Gana was 19 years old, No. 285 in the World Amateur Golf Ranking (Errazuriz is currently No. 145) and had no previous success to speak of until winning the LAAC. He was about to start his first semester at Lynn University, just like Errazuriz will do next week. Like many of his countrymen, Errazuriz came up through a program in Chile called Golf Action. Created in 1996, the organization – linked with the Chilean Golf Federation – helps introduce players ages 7-21 to golf through local events. Golf Action also provides opportunities for Chilean juniors to travel internationally to events like the Optimist International Junior (where Errazuriz finished in the top 3 in 2017), and eventually find a spot on a college roster. De Gamboa Riquelme lists that program as another major factor in Chile’s track record at the LAAC. Errazuriz gives credit to the two Chilean winners before him. The major difference between Gana and Errazuriz is style of play. If you’re a nervous spectator, then watching Errazuriz will give you heart palpitations. He is hardly conservative. “He has no fear whatsoever, he really goes to the flag. It doesn’t matter where it’s located,” de Gamboa Riquelme said. Even as the wind picked up mid-afternoon on Saturday, Errazuriz kept firing at pins. He had a share of the lead until he bogeyed the par-3 14th, but he pulled back to within a shot of Ortiz with a two-putt birdie at the relatively short par-5 18th. In addition to fearlessness, Errazuriz has low-key swagger. He smiled devilishly at his Chilean teammates whooping outside the ropes at 18, and calmly went in to sign his card. Errazuriz clearly loves the chase.